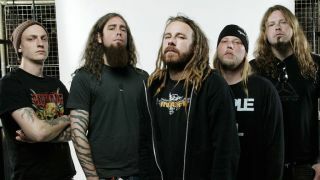 Having formed in Gothenburg, Sweden in 1990, In Flames went on to become one of the leading lights in the nascent melodic death metal scene. Since then, they’ve evolved their sound to embrace a more alternative metal approach, reeling in an ever-growing audience in the process. Here, frontman Anders Fridén tackles the pressing subjects in life, and reveals how he’s solving the problem of “crappy” Swedish whisky. The Death Metal Quiz: how well do you know your death metal?